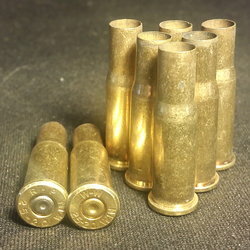 7.62x39 MM Once Fired Brass From Diamond K Brass - 500 ct.
Our 7.62x39mm reloading brass is all yellow brass and comes in mixed commercial head­ stamps, with quantities beginning at 100+. 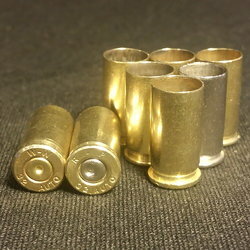 They are ideal for both commercial reloaders and those who use reloadable brass casings for recreational purposes. All our brass is guaranteed, and Diamond K Brass prices make it a good idea to buy in bulk and save. Plus, we routinely ship 2% more than the ordered amount of brass so your satisfaction is assured. 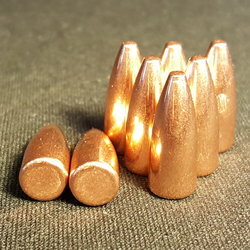 Since this caliber is violently ejected out of an AK, a percentage of the rounds will have some damage or other imperfections on the casings that are caused by this process. We do our best to sort of those with excessive damage/denting but can miss some of those on occasion. 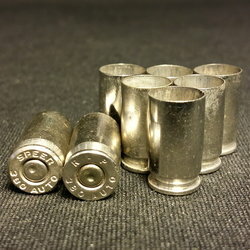 For this reason, we typically add a signicant amount of extra casings to each order to try and offset the number of unusable pieces. 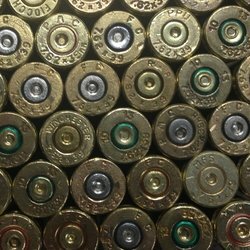 While you're shopping for 7.62x39mm reloadable brass, be sure to check our many other calibers of reloadable brass and stock up! We carry all the reloading components and accessories you need. Diamond K Brass is known for offering a quick turnaround time on order processing, and shipping time is usually about 2-3 days, so you can buy with confidence.